The new 2.4 version of Comprimato JPEG2000 Codec delivers a number of perks – faster coding, support for the new GPU CUDA toolkit 7.5, better memory management, custom number of guard bits, and broader metadata support. The goal with this release was to simplify integration and speed up encoding and decoding. Since releasing 2.3 in January this year, we have put a lot effort into optimizing our CPU encoding and decoding. The previous 2.3 release was already fast in software however we wanted to increase utilization of the CPU vector units — with goal to allow for real-time software processing. 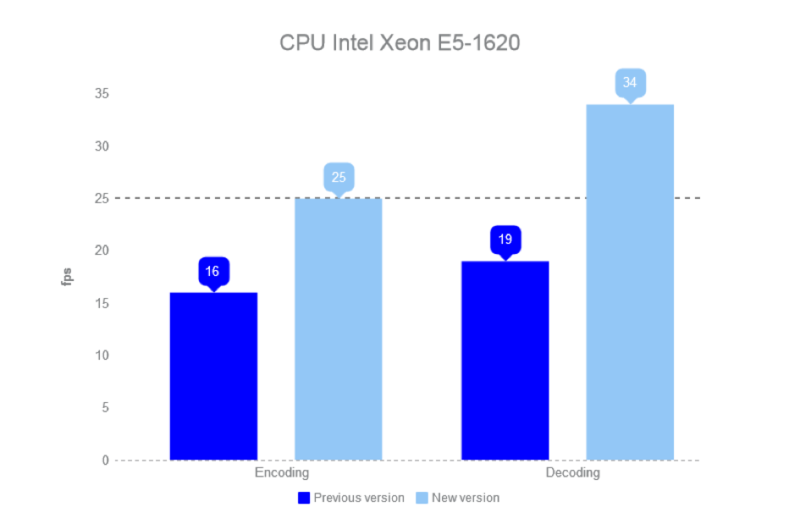 The encoding on the CPU is now 50% faster and decoding is up to 80% faster. For example, standard quad-core Intel Xeon E5-1620 was able to encode 2K DCI files at 16 fps and decode it at 19 fps. Thanks to the the better memory management and wider use of vector units, the speed of encoding increased to 25 fps and the speed of decoding to 34 fps. Using the same CPU for processing broadcast 1080p video we can now encode at 32 fps and decode at 49 fps. This is real-time processing of full HD broadcast streams. Since this 2.4 release, Comprimato JPEG2000 Codec supports metadata reading from JPEG2000 images. Because of this, your apps can extract the additional information saved in the images and use significantly less code to do so. Therefore, the development and maintenance of your apps is much easier as you will be able to get the necessary image data effortlessly. Our JPEG2000 GPU Codec now supports the new CUDA 7.5, so that you can use the codec with the most recent versions of nVidia CUDA runtime, and therefore use the most recent features for development of JPEG2000 GPU-accelerated applications. Some of the legacy cinema players cannot decode JPEG2000 streams with 2 guard bits due to hardware limitations. The new version of the Comprimato codec allows to set the number of guard bits during encoding, so that you can choose how many guard bits you want to use. This means that you will gain better compatibility especially if you are producing DCI compatible videos for the hardware decoders. Memory management in GPU encoders has been made much more predictable in the new version of the Comprimato JPEG2000 Codec. You can see the difference during the easier integration of our codec into your applications. 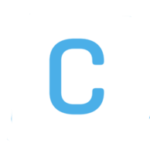 The new version of the Comprimato codec also allows you to use a quick mode while encoding on the CPU, which you can take advantage of when coding images or videos with a low bit rate. You encode less data thanks to the quick mode, and therefore the processing of a given file is much faster without any visible loss of quality. For example, quick mode encoding on a 4K DCI profile is 50% faster in comparison to encoding done in regular mode.